SK Mbuga coaches that will hit the road soon and inset is SK Mbuga test driving one of his ambulances that he recently imported into th country. Businessman SK Mbuga has joined the bus business and at this rate, he could give old companies like Modern Coast bus services a run for their money. 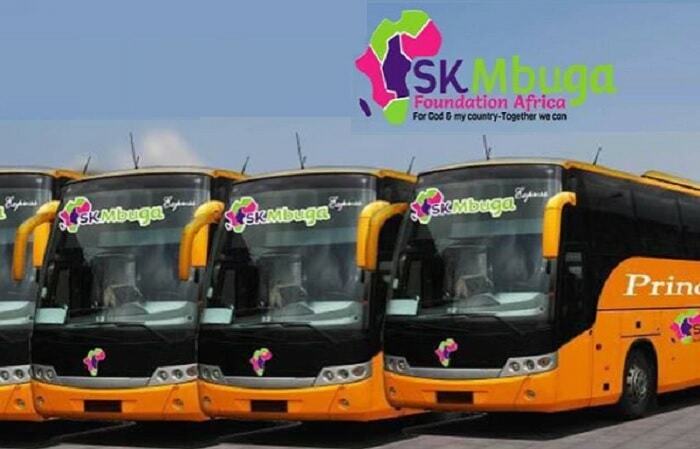 The bus company which is under his SK Mbuga Foundation will be plying the Uganda, Kenya, Tanzania and Zambia routes. The buses were named after his daughter, Ayla. Folks from Rwanda and Burundi are already voicing their concerns over the buses not operating in those countries. Not long back, he brought in 4 brand new ambulances for his hospital that is under construction on the outskirts of Kampala, he is in advanced stages of launching the SK Mbuga TV. This is coming at the time when his wife, Jalia Mbuga is on wanted in Sweden over Shs 23Billion that went missing from a real estate company where her very good friend, Sten Heinsoo, was a director. 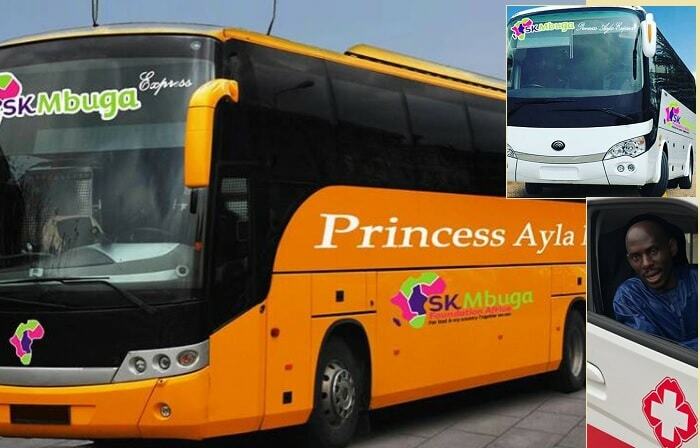 His timeline is now filled with followers asking to be part of the Ayla Bus Express in form of regional agents, bus drivers, spare parts distributors and other line services. It's now left to be seen when the service kicks off from this day onwards.